Will vs. Trust: Which is Better? If you’ve worked hard all your life and have been a conscious money-saver, it makes sense that you want to know where your money and assets go when you pass on. Perhaps you don’t have a very large estate, but you still want to have control over what you have while providing clear instruction as to where your assets should be distributed in the future. A living trust and a will are two of the best options for dictating these instructions, but each has their own benefits and limitations. Here’s a brief overview of the two documents. A will is a written, signed, and witnessed document that describes exactly where your assets will go following your death. During your lifetime, you have the option to amend your will at any time. 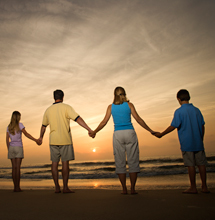 Wills also enable you to designate a guardian for your children. A living trust, on the other hand, offers property management during and after your lifetime. A successor trustee can manage the trust property, and the expense of court-supervised allocation of an estate can be avoided with the living trust. Typically, a living trust is more expensive to create, and a living trust has control only over what you place into it. So, you must be diligent when you’re creating this document. If you have minor children, a trust will enable you to draw provisions that specify when your child will be entitled to the assets you put in the trust. A will allows you to pass on assets to heirs, but it doesn’t always enable you to direct much control over that property’s use. A will is perhaps the easiest and least expensive option for designating who gets what; however, a trust allows for a greater direction on where, when, and how property is handled. Working with a qualified attorney can help you determine which option is best for you based upon your family size, assets, and other unique factors. If you’re trying to decide between a will or a trust, it’s best to seek professional legal advice. 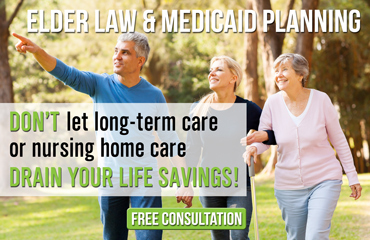 The Elder Law Firm PC can help you decide between the two based on your situation. If you have a question regarding wills and trusts, or you’re wanting to draft a document as soon as possible, contact as at (877) 933-7252.